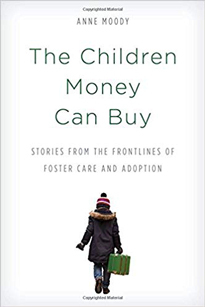 Anne Moody is author of The Children Money Can Buy: Stories from the Frontlines of Foster Care and Adoption(2018). 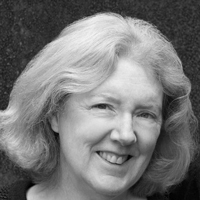 The book illuminates the worlds of foster care and adoption through the personal stories Moody witnessed in her many years working in the foster care and adoption systems. Moody covers decades of dramatic societal change, including the pendulum swings regarding open adoption and attitudes toward birth parents, the gradual acceptance of gay and lesbian adoption, the proliferation of unregulated adoption facilitators in the U.S., ethical concerns related to international adoption, and the role money inevitably plays in the foster care and adoption systems. Special attention is given to the practice of "baby brokering” and the accompanying exorbitant finder’s fees and financial incentives encouraging birth mothers to relinquish (or pretend that they are planning to relinquish) their babies that permeate much of U.S. infant adoption today. Moody's book makes a strong plea for change and gives suggestions about how the foster care and adoption systems could work together for the benefit of children and families.